Cup Characteristics: Originally made available almost exclusively to the Japanese Market, this Bali Paradise comes from one of the most beautiful locations in the Far East. 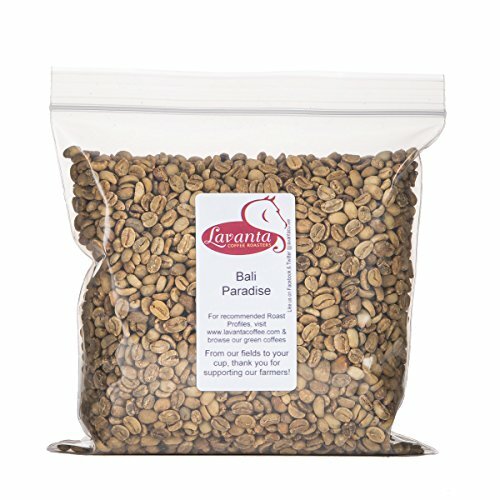 This Bali Paradise Arabica coffee offers a dry fragrance, fruited sweetness, dark chocolaty, peppery spice, fruit and wet earth. Very thick and intense chocolate roast taste. Full body, low acidity and balanced beautifully Indonesia was introduced to coffee by the Dutch in the mid-seventeenth century. It is home to the first commercial coffee plantations in the world. The first coffee production sold was in 1712 in Amsterdam, The Netherlands. Coffee production expanded well during these early days; however, in 1877, the coffee plantations were wiped out by a coffee root disease forcing the country to replant new coffee trees. Most new coffee plants came from Africa and were primarily Robusta Beans, because these were more root disease resistant. Today Indonesia is still a major producer of Robusta Beans. However 10 to 15% of the Coffees produced in Indonesia are Arabica beans. The best growing regions for the Arabica varieties are on the islands of Sumatra, Sulawesi, Java, Flores, and Bali. Indonesian Arabica beans are traditionally strong, complex flavored, with a syrupy quality and often a balanced acidity. If you have any questions about this product by Lavanta Coffee Roasters, contact us by completing and submitting the form below. If you are looking for a specif part number, please include it with your message.